Florence Reed, president and founder of the nonprofit organization Sustainable Harvest International, will speak on “Making a Real Difference on Earth Day and Every Day” Thursday, April 21, at 7:30 p.m. in Ice Auditorium at Linfield College. Reed founded Sustainable Harvest International (SHI), a nonprofit organization dedicated to working with rural Central American communities to implement sustainable land-use practices, in 1997. Since its creation, Reed has expanded SHI from working with only a dozen families to working with nearly 2,200 families in four Central American countries. Reed has worked with these families to plant 2.8 million trees, convert 14,000 acres of degraded land to sustainable farms and save an estimated 70,000 acres of tropical forest from slash and burn destruction. Prior to founding SHI, Reed served as a Peace Corps volunteer in Panama from 1991 to 1993, focusing on agro-forestry and environmental conservation. 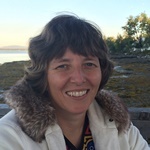 Reed has received many awards for her work, including two honorary doctorates from the University of New Hampshire and Southern New Hampshire University. Reed has also received awards such as the Yves Rocher Women of the Earth award, the Traditional Home Classic Woman award and the Harden Club of American Distinguished Service award. Reed was also included in artist Robert Shetterly’s renowned “Americans Who Tell the Truth” portrait series in 2009. Most recently, Reed has been named the Sargent Shriver Distinguished Humanitarian, the highest award given by the National Peace Corps Association. Reed will be in residence at Linfield April 18-22, where she will attend classes and meet with students. Her visit is sponsored by the President’s Office, the Program for Liberal Arts and Civic Engagement (PLACE) and the Woodrow Wilson Visiting Fellows Program, a Council of Independent Colleges initiative that supports liberal arts colleges by bringing together people from diverse backgrounds and perspectives for the purpose of discussion and learning. This event is free and open to the public. 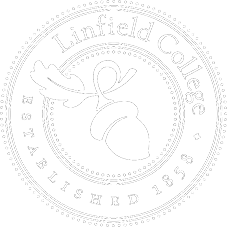 For more information, contact John McKeegan at 503-883-2202 or jmckeeg@linfield.edu.